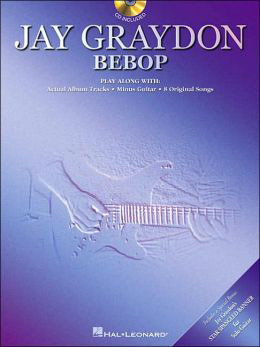 Jay Graydon's official home on the web in which you will find everything about this twice Grammy awarded (Best R&B songs) and 12 times Grammy nominated (among the top 5 finalists) Los Angeles top songwriter, recording artist, guitarist, producer, engineer, and more. Jay will also take some space to address his fans and in other ways contribute, whenever he finds the time to do so. 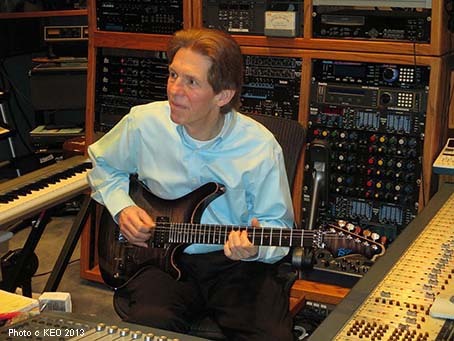 In short, we will bring you the HOTTEST NEWS about the world's greatest guitarist, songwriter and producer. So keep hanging around! 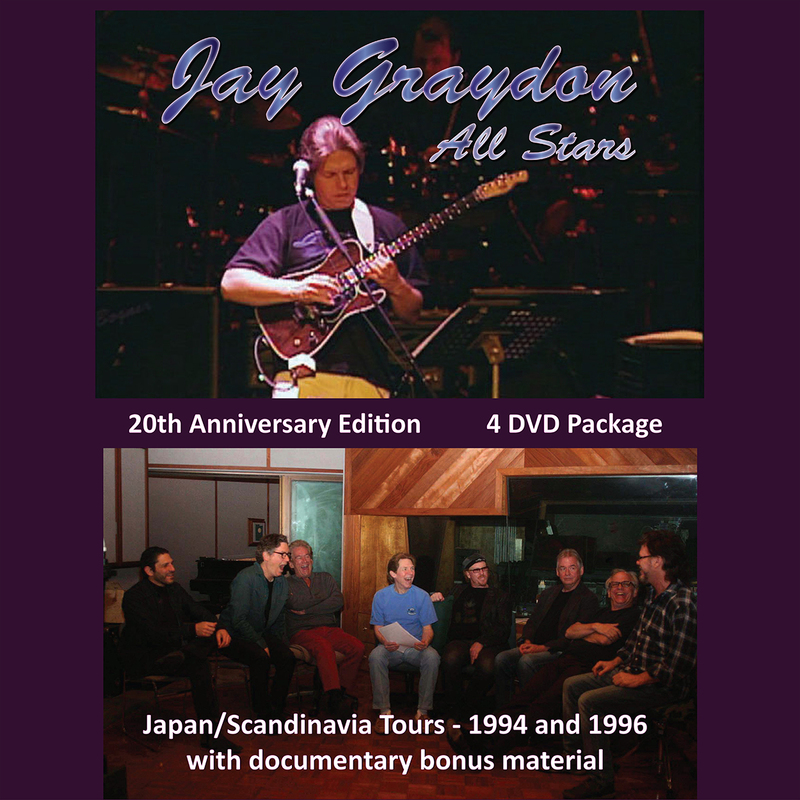 Live interview podcast with Jay Graydon at Inside MusiCast! Wohoo!!! SNEAK PEEK at JaR 2 - CODE!!! VERY cool video featuring the title song - CODE - from the upcoming JaR 2 album! JaR - (Jay Graydon and Randy Goodrum) now has an official YouTube channel - JaR Official - and the first video is featuring the title song from the upcoming second JaR album, titled CODE. Previous videos in "The Story of Jar" series are posted on this page as well as in Jay's YouTube channel. AIRPLAY FOR THE PLANET - Remastered at 96k - now available as a physical CD! as a digital download at Bandcamp a while back. Since we have been getting so many requests for a physical CD of this remaster and since the 2002 version of the physical album has sold out, we have decided to make the 2017 remaster available as a physical CD at CD Baby. So, this remaster is derived from a source with more enhancement and with new artwork, and slightly new liner notes. Please note that all but two tracks were recorded on a modified MCI 24 track analog recorder. I used the analog mix files to start with. The first CD version released in Japan used the analogue mix files and recorded to 44.1k 16 bit digital for CD. The mastering was fair at best. The next release in 2002 used the digital files and I tweaked EQ as to make sound better using the ADAT EQ, which does not allow automating the EQ. So this remaster is a completely different story and I am getting into more detail on the CD Baby page. Exquisite remaster at 96k of AIRPLAY FOR THE PLANET! Available at Bandcamp for download. This digital album includes unlimited streaming via the free Bandcamp app, plus high-quality download in MP3, FLAC and more.Liner notes for download in PDF format at the Sonic Thrust Records page. My album AIRPLAY FOR THE PLANET has been selling well and we are running out of stock so when almost out of stock, CD BABY requests more. That opened a can of worms since the program Kerstin used for the original artwork is out of date so she needed to start over using a new program. Since she needed to redo the artwork, I thought it would be a good idea to re-master the audio. Read the full story about my work with the 96k remasters on my Hot News page! NEW JaR SINGLE RELEASED - SOMETIMES YOU WIN!!! Jay Graydon and Randy Goodrum are in this series of brief videos sharing with us the story of how their band JaR - Jay Graydon and Randy Goodrum came about and how the songs were shaped. We will be archiving the previous episodes here so you will not miss out on any of the videos. Stay tuned for upcoming episodes! As noted above - A Region Free 4 DVD box set, having a few flashbacks from the 1994 and 1996 actual concert footage, a fun and informational band reunion hang at Garden Rake Studios 20 years later, filmed by Todd Homme, and a lot of bonus material, such as for instance a complete explanation by Jay Graydon on how to play his "Peg" solo, as well as a very cool jam session in Jay's garden from 1989 with great musicians, including Steve Lukather, and so much more.